This holiday season try these easy Pet Stain Remedies in Birmingham AL. 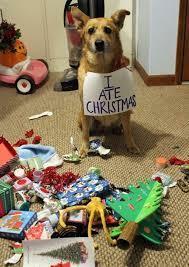 During the holidays, our pets can create havoc in our homes. They are not used to the increased activity and new additions of trees and ornaments that the holiday season brings. Extra activity, hectic schedules, and holiday guests can change a pet’s normal routine and increase stress. Just like we become stressed, this time of year is also stressful on our pets. Unfortunately for us, one of the first symptoms of a stressed-out pet is having accidents indoors. When you are trying to entertain guests and keep your home looking clean and fresh, this is the last thing you want. If you are already short on time, cleaning up these messes can create more anxiety on you. And if you don’t clean them up, you will have lingering odors that can be very embarrassing when your guests arrive. The experts at Heaven’s Best Carpet and Upholstery Cleaning have some great recommendations that will help reduce your stress and the stress level of your pets and insure you and your entire family have a clean, happy holiday. 1. Create a safe place for your pet that is away from guests and activity. Make sure this area has familiar toys, food and a water bowl. 2. Stick to a regular schedule with your pet. Try to take them for walks and feed them at the same times as you normally do. 3. Pet-proof your home by keeping harmful items out of reach of your pet. Things such as holiday decorations, electrical cords, harmful food and beverages, and plants should be unreachable to your pet. 4. Have the following items handy for accidents; White Vinegar and Baking Soda. These two ingredients can do a very good job cleaning up pet spots and stains. If your pet does have an accident, quickly blot up the area. Next mix ½ cup vinegar with about 1 ½ cups warm water. Pour this mixture over the stain and let it sit for about 5 to 10 minutes. Then, blot it up with a clean towel. After the area is dry, sprinkle with baking soda. Let this sit overnight or for about 24 hours, then vacuum. If you don’t have time for any of this, call the professionals at Heaven’s Best Carpet Cleaning of Birmingham. We can come out and clean the area with our specialized pet spot and stain removers. Don’t worry that we will disrupt your party. Our process dries in 1 hour, so you will be back to entertaining your guests in no time. Don’t stress over pet spots or stains this year. Call Heaven’s Best Carpet and Upholstery Cleaning at (205) 618-9150, and remember to try these holiday pet stain remedies in Birmingham AL. 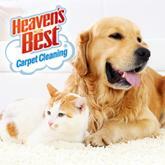 Contact Heaven's Best for Pet Spot & Stain Removal Today!